Francis Rooney made millions on sprawling building projects like the Dallas Cowboys’ football stadium. He parlayed his status as a George W. Bush mega donor into a diplomatic post. He fended off frequent Fox News guest Dan Bongino in a 2016 primary to win a Naples-based congressional seat that is one of the most conservative in the state. And he once called for a “purge” of career FBI and Justice Department officials during Robert Mueller’s investigation. 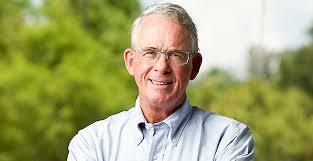 But the 65-year-old Rooney is now Florida’s most pro-environment Republican in Congress. Rooney is the only Republican in Congress currently supporting a tax on carbon emissions, and is one of two vocal critics of the state’s sugar industry in Washington. His considerable wealth — Rooney ranked as the 26th richest member of Congress in 2018 and drew a $5.5 million salary the year before entering elected office — means he doesn’t need checks from lobbyists to fund his reelection campaigns. Before entering the House, Rooney was the majority owner of Manhattan Construction Group, a firm that built the Dallas Cowboys’ stadium, the underground U.S. Capitol visitor center and both Bush presidential libraries. He pines for the eventual demise of the nation’s coal industry through a carbon tax, wants Florida’s sugar industry to stop burning cane fields and give up land for a proposed Everglades reservoir, and said Republicans need to start talking thoughtfully about the environment if they want college-educated suburbanites to vote for them. But he’s also operating in a climate where many Republicans are happy to criticize a proposed Green New Deal by liberal Democrats without offering a substantive alternative. At the same time Rooney talked about the need for a carbon tax in his office, other congressional Republicans drank milk at a press conference to argue that a Green New Deal would hurt dairy farmers and Oklahoma Sen. Jim Inhofe wore a tie with oil rigs on it while casting his vote against the proposal. Rooney’s environmental bent comes from a lifetime spent on the water — he once sailed across the Atlantic Ocean and holds a boat captain’s license from the U.S. Coast Guard — and a lot of conversations with his adult children. He noted that his parent’s generation was OK with dirty steel mills in Pittsburgh and factories in Chicago until the pollution started killing people. He said his children’s generation won’t accept that. While many of his fellow lawmakers speak in general terms about the need to lower carbon emissions, Rooney says a carbon tax would have a clear goal: turning coal into a nonviable energy source. The carbon tax bill pushed by Rooney would give money collected from polluters back to every American in the form of a dividend.Rooney, who lives in a FEMA-compliant waterfront mansion with 22-foot stilts and a yard filled with sea grass instead of a lawn to fight flooding, is also responding to the needs of his coastal district, where recreational boaters and businesses were affected by a historically large red tide outbreak last year along with blue-green algae in the Caloosahatchee River. Hurricane Irma also made landfall a few miles south of his house. Environmental groups note that Rooney maintains a low rating, even compared to some Republicans. The League of Conservation Voters gave Rooney a 20 percent rating in 2018 because he voted for GOP-led spending bills that decreased environmental funding, though his rating increased from zero percent in 2017. Rooney noted that he’s close friends with U.N. Ambassador nominee Kelly Craft and her coal-executive husband from their time as major GOP donors, but he doesn’t think the industry should exist. “He’s a good guy but I just think his industry ought to become a sunset industry,” Rooney said, adding it’s “swampy” that former coal and oil industry lobbyists were appointed by President Donald Trump to lead the Environmental Protection Agency and Interior Department. But while Rooney opposes coal and is a vocal opponent of offshore drilling, neither industry has a foothold in Florida. Rooney’s crusade against big sugar is a different story. Cris Costello spent the past 12 years working for the Sierra Club and sparring with Florida’s major sugar producers, an industry that doles out campaign cash to both Republicans and Democrats around the state. Rooney was the first member of Congress to ever call her unsolicited. He was concerned about the effects of burning sugarcane fields, a practice that growers argue is environmentally safe, and ordinances that do not allow fields to be burned when the wind is blowing toward wealthy Palm Beach County communities like Wellington and Mar-a-Lago, but do allow burning when the wind is blowing toward low-income communities like Belle Glade. Rooney said it doesn’t make sense for an industry already protected from foreign competition by tariffs to also burn fields against the objections of some local residents. Rooney was one of three members of House from Florida to vote in favor of a plan to end sugar subsidies last year. The others were Republican Rep. Brian Mast, an opponent of sugar who represents a Treasure Coast district affected by algae outbreaks, and Ron DeSantis, who is now governor. Every Florida Democrat sided with the sugar industry, and U.S. Sugar sent campaign cash to 19 of the state’s 27 House members last year along with Sens. Marco Rubio and Bill Nelson. Rooney said he and Mast’s successful reelections, combined with DeSantis’ victory, shows that the political consequences of crossing Big Sugar are overrated. Curbelo disagrees with Rooney on singling out sugar, but said constituents appreciate members who communicate their positions plainly. At a recent speech in Cape Coral, Rooney said he was trying to “deal with the continuing menace of agriculture” in the Everglades reservoir project. His comments prompted a rebuke from Agriculture Commissioner Nikki Fried, Florida’s only statewide elected Democrat. Rooney said he was solely referring to the sugar industry in his comments, not other agricultural producers. Much like President Trump, Rooney frequently mentions polling. But unlike the president, who continues to bash polls for underestimating his 2016 performance, Rooney says the data show him that conservative-leaning voters want leaders who care about clean air and water. Rooney said if Democrats include environmental protection plans like the Green New Deal as part of a massive expansion of government, while Republicans make fun of it, more voters will embrace the party that’s presenting substantive ideas. “George Bush got elected with suburban college graduate people and we didn’t get much of them in 2018,” Rooney said. But Republican leaders don’t appear interested in giving power to their most vocal pro-carbon-tax members. Republicans blocked Rooney from serving on a special committee to address climate change established by Democrats after they won control of the House last year. Instead, Republicans chose a congressman from Louisiana, a state noted for its embrace of offshore drilling, to lead the panel. While the Sierra Club and League of Conservation voters say Rooney’s environmental record, particularly on industry regulations, is far from ideal, they acknowledge that his work goes beyond “green washing” — a term used to describe politicians who espouse pro-environment talking points without taking any substantive steps to address climate or pollution issues. Pierce said Rooney is the only member from a very conservative district who has an open-door policy with her group . Rooney is hopeful that Trump, a part-time Palm Beach resident who plans to visit Lake Okeechobee on Friday, will make restoring the Everglades a priority. He’s less hopeful that Trump will back policies to tax pollution. Rooney said Republicans in Washington should stop debating the cause of climate change and start thinking more like local governments, which are tasked with developing building codes and best practices to withstand natural disasters. He noted his district was much better prepared for the effects of Hurricane Irma than Houston was for Hurricane Harvey, where flooding lasted for weeks. He also acknowledged that lawmakers are likely to not care about climate change until disaster comes to their district.